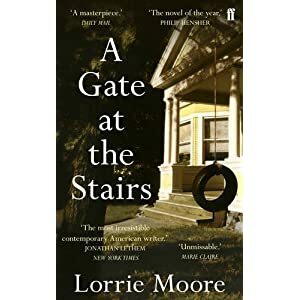 A Gate At The Stairs is one of “those” books – beautiful writing, intelligent conversation flowing through the book, a sensitive plot, and a book with great potential. Tassie is a college student in the Mid-western town of Troy, who finds a job as a baby sitter for Sarah, an affluent restaurant-owner who adopts Emmie, a “biracial” child. Sarah is perpetually busy running the upmarket restaurant, and Tassie ends up spending a fair bit of time mothering Emmie. While there are two other parallel stories (Tassie’s “first love” and Tassie’s brother contemplating his future at the military), the adoption of the biracial two year old by a white couple was the one that had me glued to the book. When a boy uses the infamous n-word at Emmie, the babysitter reports it to Sarah, who starts a “group” for parents with non-white children. The group meets every Wednesday, and contemplates what the future holds as well as discusses the present-day situation of the African American race. In a post 9/11 world, racism in midwestern America is still rampant, and the lives of the minority is still under question. The snippets of conversation on Wednesday evenings that Moore penned down had me absolutely boggled. Call me naive, but I don’t think much about racism or how a person’s caste or skin colour can affect their place in society. In my ideal world, it shouldn’t, and maybe because I’ve not witnessed it first hand, I’m absolutely oblivious. As Martin Luther King once said, “judge not a man by the colour of his skin, but by the content of his character” – but that doesn’t really happen, does it? Yes, I’ve read a fair bit about slavery and the troubles African Americans face, but, most of those books are from a different age, and in my little head, that time had just gone by. The unfairness of racial abuse towards biracial children literally had me perplexed! Anyway, I digress. Back to Moore’s book. As one might expect, the plot twist comes from a blast from the past that reminds the many characters that the past does not forget. In my opinion, this was a little excessive as well, and Moore was trying to make the plot more dynamic, more “exciting” – to an extent, she did succeed, but, it just left me feeling perplexed. The book was an interesting read, but, the last seventy pages just ended up taking a gigantic detour and having a story which didn’t really fit in with everything else. Again, maybe it was something that does belong to the post 9/11 world? I don’t know – I think the book would have benefitted from either streamlining the story, or avoiding some of it, despite it being emotionally powerful, and relevant in this day and age. You can’t fault the writing style though. It’s beautiful, witty, insightful, and although Tassie at times comes across as way too mature for her age, at other times I could relate to her and her college lifestyle. Even Sarah and Edward (Sarah’s husband) characters are well-developed, and while I didn’t care much for the latter, I did sympathise with Sarah. Think this book is worth a read, and I’d love to read more of Moore’s works, to see if they’re as insightful. Have you read anything by Moore? 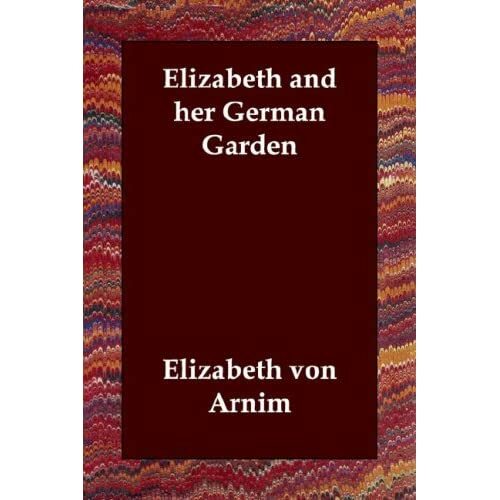 How do you think her short stories compare to her novel? I’m a big fan of Lorrie Moore, and so whatever faults I found, I resolved to ignore, haha. I do think that she’s more masterful in the short form. I recommend Self-Help, her first collection of stories. Just so awe-inspiring. Birds of America is a colder, more masterful version–the stories were crafted by a master, but they felt rather “reserved,” for some reason: They were “good” stories, but too refined and perfect, if that makes sense, haha. And though I haven’t read Anagrams, a lot of people think it’s one of her best works–blurs the line between short fiction and novel. But, still, Self-Help has my first vote. 4000 word essay on Moore and this novel? Wow! Agree – Tassie’s the best part of the book. I didn’t mind the detours or plot offshoots, but when the book changed its main storyline completely, I was well baffled (did go : WTF)! Thanks for the note on her short stories. I’ll try seeking out Self Help soon. I’ve heard a lot about her short stories, and half-wish I’d started with one of them first. Frustrating and unsatisfying does sum it up – specially as there was soo much potential! Great discussion. I am really keen to read Lorrie Moore, but your review, Uncertain, confirms everything else I have heard about this novel and tends to lead me in the direction of the short stories. I will bear in mind Sasha’s recommendation above. I liked your point about being unable to fully relate to the racism, perhaps because it would be hard to credit in the communities with which we are famililar . I do wonder sometimes if I have failed to appreciate a book because the cultural divide is incomprehensible and unrecognisable. When I say that I have failed to suspend my disbelief I mean it as a reflection on the author but perhaps I have been unfair :( Kudos to you for recognising that possibility! I’ll be keeping an eye out for thoughts on the short stories. Got a self-imposed three month book buying ban, so it might be awhile before I get down to it. It’s an interesting one: I guess some authors do exaggerate the point they’re trying to make, but simultaneously, it’s a world some of us have no idea about. What’s the tipping point? I loved this book and am reworking an 2000-word early draft of an essay comparing the racial themes within it to those within Huck Finn. Moore’s tangents, which can at times be frustrating, are rather typical of her writing style; she seems to practice a compromise between a more traditional style of straightforward storytelling rich in detail with a more contemporary beat-influenced stream-of-consciousness writing. You’ll see this in all of her books, but I suppose it is more prominent in novels because, well, they’re just so much longer. I did not see her portrayals of racism as over-the-top; by my experience, they seemed almost underscored. The novel’s setting is not so far removed from the part of the country in which I grew up; and in small towns neighborhoods are not split up in such a way that upper-class white families may construe themselves as accepting simply by never having come into contact with an African-American individual. You may be interested to examine an article she wrote for the New York Times, called “Send Huck Finn to College” . I have read all of her novels and short stories and own all but one of the novels. I would absolutely recommend any of them; Self-Help is my favorite anthology, and I loved all of her novels, although Anagrams was one that probably stuck with me the longest.